Win a weekend on the island of Santorini, join our contest! 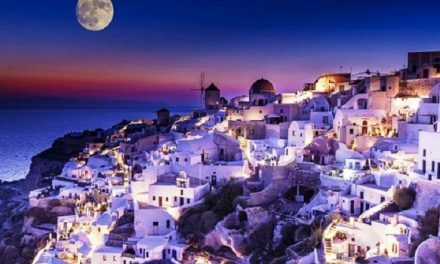 Reading our posts makes you want to go to Santorini? The competition which grants your dream vacation. You will give us a reason to give you this prize. Answer the question “# WhySantorini?” Why do you want to visit this island and why should we choose you? Unleash your imagination and your power of persuasion, trying to convince us and you will spend two days in the beautiful Honeymoon Jacuzzi suite BLUE DOLPHIN, an exclusive accommodation located in Firostefani one of the most fascinating place of the island, you can watch the sunset from a private balcony which will give you a breathtaking view of the caldera of the volcano of Santorini. Starts to write and prepare your bags, with Welovesantorini.com you are not traveling only by your imagination! Participate in the first contest of the blog Welovesantorini.com and win two days of your dreams in a suite overlooking the Caldera. What are you waiting? You just need tell us why we should choose you! # WhyloveSantorini? Continue to follow us on https://welovesantorini.com not lose the next steps! NextDo not give up anything: sleep in a luxurious Yposkafa!